From ages 17 to 60+, SheBoomers are ordinary women who come from all walks of life – artists, accountants, musicians, teachers, home-makers, doctors, lecturers, students, scientists, care workers and nurses. What binds us is our love of making music with drums, loudly. Women love SheBoom for many reasons. Some of us are attracted to the idea of drumming. The drum is one of the oldest instruments and has often been forbidden to women – we weren’t supposed to play them and they made a lot of noise. Others of us were not so much attracted to just the drumming as to the creative and wonderful energies which comes from making music with other women. 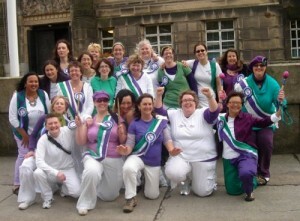 Over the years, hundreds of women have been members of SheBoom. Membership figures have fluctuated between 40 to a staggering 107 in early 1994. Current membership is around 40. Hundreds of hours are put into composing, practising and rehearsing for gigs. The band meets every Friday evening from 6.30 to 9pm. SheBoom also keeps an important community-based profile by running beginner drumming workshops. New band members are recruited from these workshops. A waiting list is kept for women interested in coming to these workshops. No music experience necessary. Deeply rooted in Scottish socialist traditions, the band operates as a self-funded non-profit collective. All sums earned are spent on drumming tuition, hire of rehearsal rooms, purchase and maintenance of instruments, carnival costumes, administration and publicity costs. We have no salaried staff and band members do not derive an income from band earnings. SheBoom earns its own way but donations and sponsorships are always welcome! 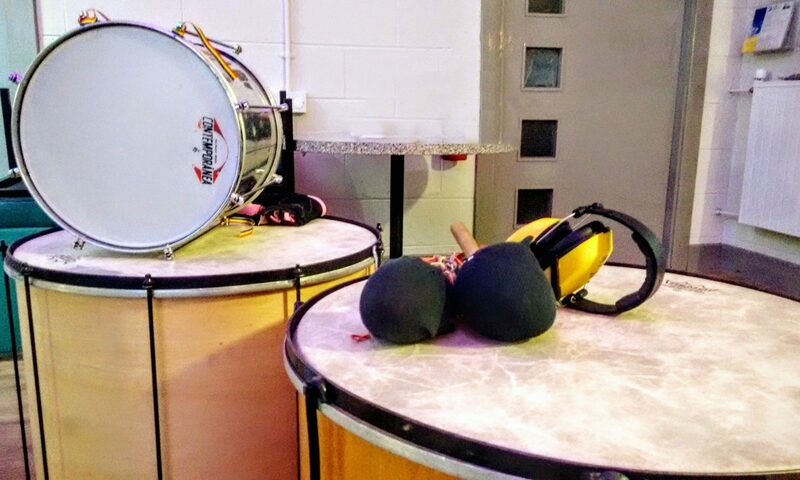 Sponsorships from percussion related companies will be favourably considered.